Cyclesurgery Deal Of the Week! Up to 40% off Selected Bikes! 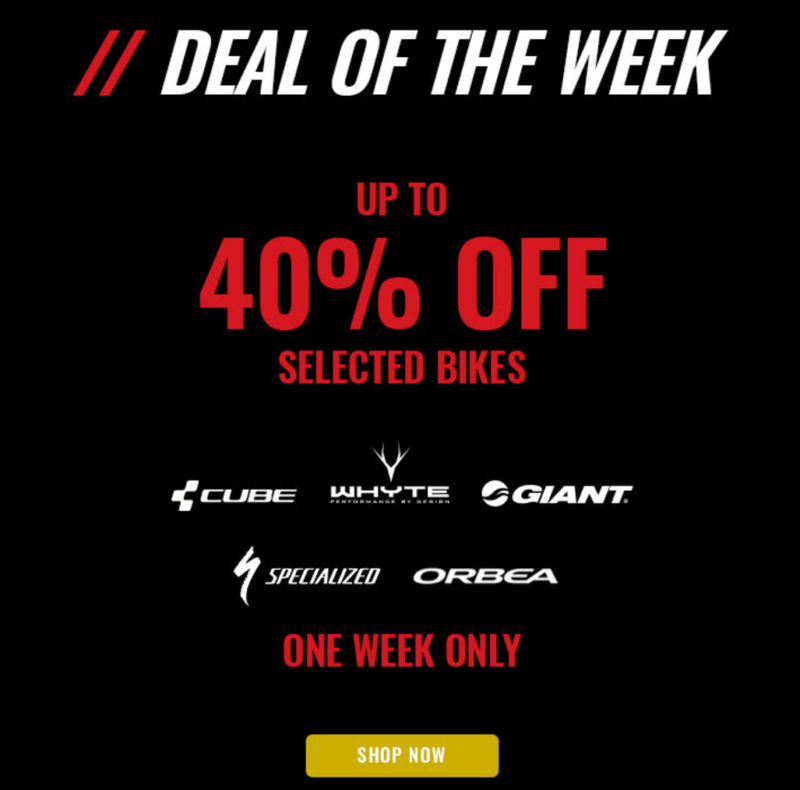 Make the most of the Cyclesurgery deal of the week - with up to 40% off selected bikes, inclding Giant, Orbea, Whyte, and Cube. For one week only.